One extremely useful operation is to apply some transformation to each element in a list and generate the list of results. The item inside the list can themselves be lists. This can be seen as a tree structure. Recursion is often very good at dealing with trees. For example, let’s implement a function that count the number of leaves in the tree. Number of leaves of an list is the number of leaves of the car plus the number of leaves of the cdr. We can now adapt our map function to work with trees. It has a very similar structure to the count-leaves function above. If we use sequence (implemented as list in Scheme) as our primary data structure, then our program can be organized around the sequence operations. This can lead to moduler and clear design. Let’s now examine 3 powerful sequence operations. One common task is to filter a sequence to select only those elements that satisfy a given predicate. This can be implemented easily as follows. 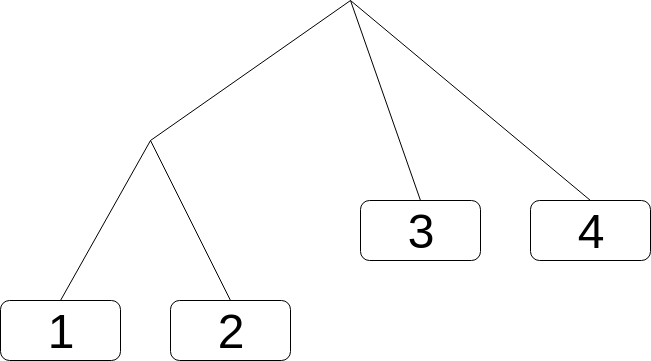 This operation essentially generate one value from running a function over the sequence with an initial value. For example, let’s calculate the sum of a list of numbers. Now we know how to implement filter, map and accumulate. Let’s combine them together. See the following example and see if you can understand it. Richard Waters(1979) developed a program that automatically analyzes traditional Fortran programs, viewing them in terms of maps, filters, and accumulations. He found that fully 90 percent of the code in the Fortran Scientific Subroutine Packages fits neatly into this paradigm. If you think of map is a kind of single loop over the list of data, then nested loops can be natually though as nested maps. It is quite obvious that there must be some nested looping going on. The outer loop i is from 0 to n, and the inner loop j from 0 to i. This looks almost like what we want, except for the nested lists inside. What we want is a flat list, but what we get now is a list of lists. We need to flatten it. Turns out this map and then flatten the result is a common pattern. We can abstract it out into a flat-map function. We have come to the end of this journey. We started with just a simple data structure pair, and all the way to quite advanced flat-map. We have hand crafted everything in between. Hope you enjoyed it as much as I do.